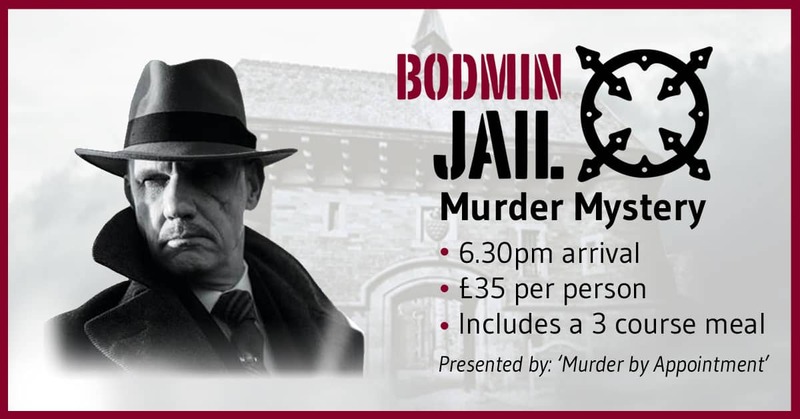 Solve our murder set in the atmospheric grounds of Bodmin Jail. Watch and listen as the professionally staged murder plot unfolds before your very eyes. Question the cast for those extra clues, view the murder scene, and choose your suspect. Limited number of tickets so book online or call 01208 76292. Open to ages 16yrs and over (under 18s must be accompanied by a responsible adult).